Torchic in game: 7,712 Who? Important notice! 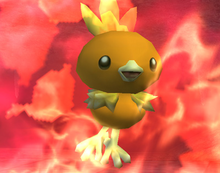 Pokemon Torchic is a fictional character of humans. May started her Pokémon journey with a Torchic that she obtained in Get the Show on the Road!. 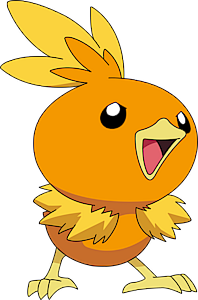 It evolved into Combusken in A Shroomish Skirmish, and later into Blaziken in Once More with Reeling!. 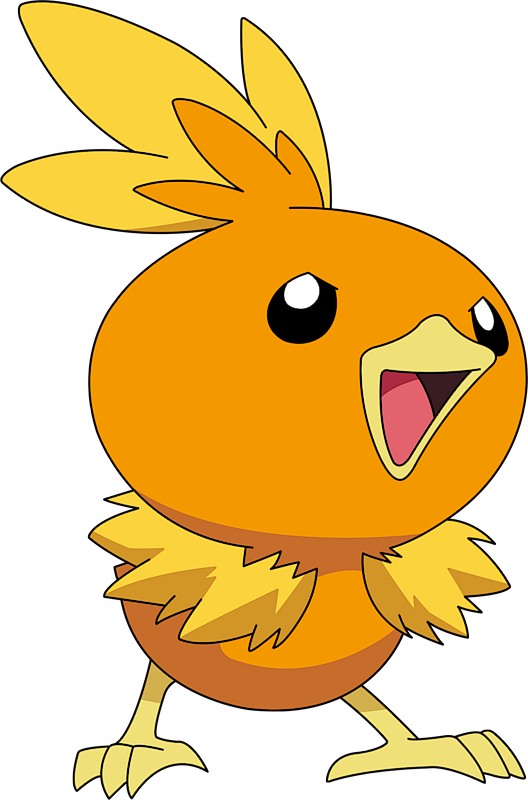 Harrison started off with a Torchic that he received from Professor Birch. It is now a Blaziken. Ash, Max and Brock were given the task of watching over a trio of Hoenn starter Pokémon for Nurse Joy while May was practicing with her Beautifly in Having a Wailord of a Time. The Torchic of that three managed to evolve and had to be hidden. 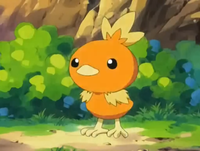 A Torchic appeared in Pikachu and the Pokémon Music Squad. Torchic made brief cameo appearances in Disaster of Disguise, Setting the World on its Buneary!, and in Barry's Busting Out All Over!. 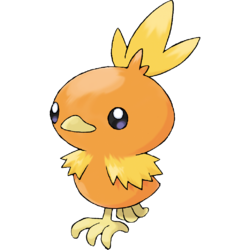 A Trainer's Torchic appeared in Off the Unbeaten Path participating in the Pokémon Orienteering. 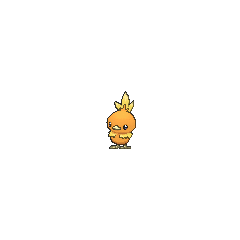 A Torchic appeared in a flashback in Rivals: Today and Tomorrow!. 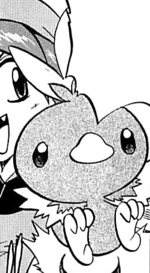 Like her anime counterpart, Sapphire also received a Torchic (nicknamed Chic) from her father Professor Birch. Just like Chic's Trainer, she loves to battle. Chic evolved in Dewford Town before a battle that Sapphire was having against Brawly along with Rono, her Aron-become-Lairon. After several concussive battles against Team Aqua and Gym Leader Flannery, she evolved again to Blaziken in a bout against Winona.